We knew Tony Romo would be working with the scout team this week, as he continues to work back from that fractured clavicle, suffered in Week 2--the last time the Cowboys won a game. What we didn’t know was how amusing this apparently is for Romo’s teammates. 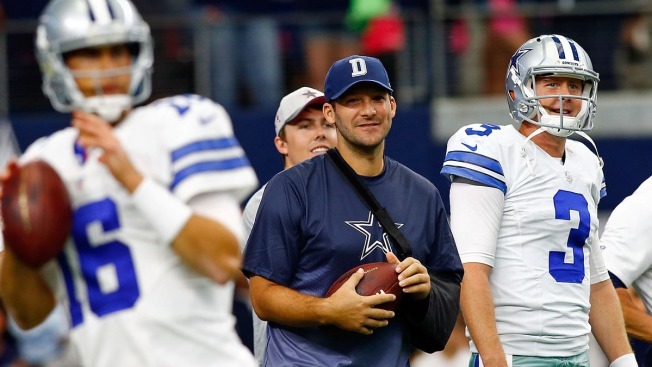 By all accounts, with a little over a week until his scheduled return, Romo has been sharp in practice.